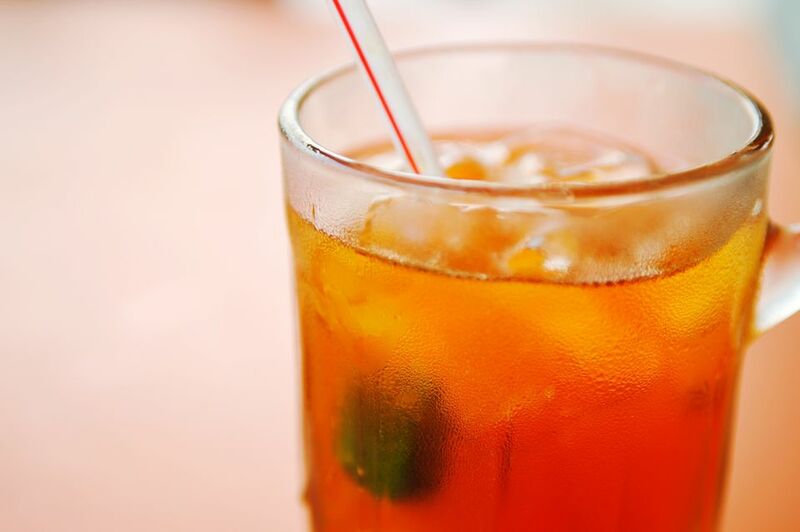 This iced oolong tea recipe is a refreshing, semi-sweet drink that is very easy to make. While black tea is often preferred for iced tea, you might find that oolong tea is a better choice. This is particularly true if you want a healthier alternative to traditional sweet teas. When beverages are chilled, they tend to lose some of their sweetness. This oolong iced tea recipe calls for a naturally sweet oolong, so you'll only need to add a dab of honey for a perfectly sweet tea. Pour the bubbling water over the tea leaves. Steep for 4 to 6 minutes and then remove the tea leaves. Add the honey and stir. Pour the tea over ice. Oolong teas vary greatly from one tea to another. Many are noted for having sweet fruity flavors while others are roasted and can have nutty or grainy notes. Due to this range, choosing the right oolong for iced tea is a bit of a challenge. However, most oolong teas are nice served cold, so feel free to explore your options. Oriental Beauty: This is a type of oolong tea that originated in Taiwan and it remains the best origin for great Oriental Beauty teas. The tea is highly oxidized (usually around 70 percent) and is harvested from young tea leaves in a way that starts oxidation from the moment they're plucked. The result is a naturally sweet, slightly sour tea that is sold by a number of tea companies. Wen Shan Bao Zhong: Many tea drinkers consider Taiwan to be the capital of oolong tea, so it's no surprise that our second recommendation also hails from that country. This tea comes from the Wen Shan mountain range and Baozhong (or Pouchong) teas are a popular type of oolong. It is a low-oxidized oolong and the best examples are smooth, sweet, and floral. Some drinkers even refer to it as having a creamy mouthfeel. We talk a lot about brewing specific teas at specific times and specific temperatures. This is important with loose leaf teas because some teas (green and white, for example) are more delicate than others. A tea brewed with water that's too hot will result in a bitter cup of tea and may need to become a milk tea to be drinkable. Luckily, oolong is not one of those delicate teas, yet it is also not as insensitive as a black tea like Earl Grey. Oolong falls right in between green and black teas when it comes to temperature. The water should be about 195 F, which is near boiling (but not boiling, save that for black tea). As far as time goes, oolong should be steeped a little longer than black tea. For a hot tea, 5 to 8 minutes is often recommended, but you can get away with just 4 to 6 minutes in this iced tea recipe. If you find that this is not bold enough for your taste, brew your next cup a couple minutes longer. Remember, brewing times are going to be affected by your personal taste and the quality of your tea leaves. Make any adjustments as you see fit.